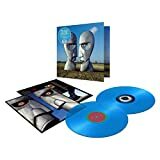 Sell your PINK FLOYD items on eBay ! Before the 2003 issue of the "Director's Cut" version of the movie, there was the original VHS video release in 1981. This is the version that was as Pink Floyd intended us to see it, free from "unauthorised" additions by director Adrian Maben. The atmosphere of this concert is perfect - no audience, just the band totally focussed on laying down the music in a live-in-the-studio style in a majestic and mysterious ancient amphitheatre instead of the studio. The Pompeii version of 'Set The Controls For The Heart Of The Sun' is my all-time favourite Pink Floyd track; The brilliant 'Echoes' split into two parts for this movie, are the perfect opening and closing numbers with Richard Wright excelling on keys. 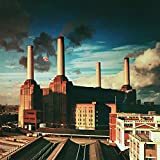 I believe that each of the songs-proper from this movie are superb explorations of Pink Floyd's work, even the blues tinged, dog howling 'Mademoiselle Nobs'. For "Live At Pompeii" Pink Floyd is totally on song: the band memebrs are working together really cohesively and are at their brilliant best. For me this version of the "Live At Pompeii" concert is an essential masterpiece. Five stars from the Dinosaur! Sidenote: with newly updated cover that I've just updated (to bigger resolution), reviewing this seems like more pleasant job to do. Dunno why, it just is like that. I don't own original VHS, nor my father. Still, he presented this (with interviews version) to me many times in my life. Situation today, when we arrive to his place few times a year, we bring gifts (computer and game Heroes of Might & Magic II.). He inserts video cassette with Pompeii and we're together, talking, smiling and having a good time - what else when this great music (and performance) is currently on. Also, it's great mean how to relax before going to bed (let's say I know that I'll last one hour, so I'll have some tracks from this). I think that this version is only one that was aired on our local TV (back in times when it was still airing good things). I'll describe tracks in other dvd (the one "without"), just will mention few things from here: Interviews seems funny and quite good. Things that they're talking about are even quite a classic for my ears. 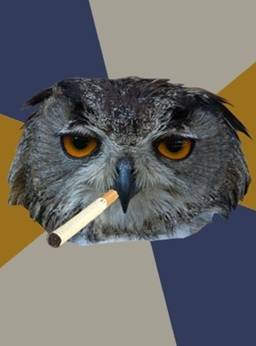 Not talking much (they're eating a lot, father told me that it can be caused by drugs, but who knows for sure, but wait a minute here, when you're heavy drinker, you'll become fat ... but when you're on drugs, you're generally get thin, right ? even some of them can get you fat. It's confusing). Studio music takes are quite important, as for many years, it was my only source of peer view to these events. And I have to say that Gilmour's guitar playing to "Brain Damage" is pure gold (sadly, it's not in final version of the song). 5(-), despite worse quality, it's worth of attention, if only as historical monument. After all, all important things are here. I sat down and watched this again on a lazy afternoon and thoroughly enjoyed the experience. The VHS version was my first look at this, and I am happy to watch that until it deteriorates from overuse. I love the way it flickers, the lines, the glitches, it is all part of the vintage Pink Floyd experience, the raw music and the raw footage. The DVD features much more of course, especially those bizarre interviews when the band were about to unleash their masterpiece that changed their lives. But the original film on VHS is revered as one of the best historical looks at Pink Floyd at the peak of their powers. The band play outdoors to an invisible audience, perhaps the spirits of ancient Pompeii were listening. 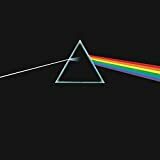 Little did the band know that this would be a beloved document of the band before they captured lightning in a bottle with "Dark Side of the Moon". The iconic imagery that sticks in the brain; the slow zoom towards them at the beginning of 'Echoes', Waters working with the infamous sequencer for 'On the Run', the mosaic skull at the intro of 'Careful with that Axe Eugene', the bold colour fonts introducing each song, and of course Waters banging the gong in silhouette on a white sky. There is an atmosphere of impending doom on 'Careful With that Axe Eugene' as we see images of the band walking on the volcanic mountain, mist and steam circling at their heels, and Waters deathly cold whispering. The lave spouts ignite sparks in the blackened sky as he sardonically screams, augmenting the ethereal atmosphere. The interviews say little but if you read between the lines you can pull out things of interest; "rock is dying", Waters moans, "Unfortunately we mark a certain era... most people think of us as very dramatic...if people come to a concert and they don't like it they don't come again..." Mason: "We do have infighting when we explode..." The fly on the wall style doco is fun to watch; Gilmour: "What would rock 'n' roll do without feedback?.." Waters: "just turn it down a bit..."
'One of These Days' is featured with great bass and drums, a very powerful song in any case, but live even more so. This version feels faster and more intense, with cameras focussing on the expressions of the artists, Mason at the drums, the vibrating bass section has some iconic imagery, still shots of the band recording, the mixer, Mason lost in his drumming, 9 images of Mason in one kaleidoscopic shot, It is cult classic material. 'Mademoiselle Nobs' is a rather rare experimental piece that focuses on a borzoi dog (a Russian wolfhound, I used to own one) barking in to a microphone primarily, caused by Gilmour's harmonica, which is rather trippy. 'Brain damage' is great to watch in its infant form before the bombastic finale to "Dark Side of The Moon" was recorded. We see a slow pan in the studio with Gilmour playing the lead parts to a recording of other members. The film is bookended by 'Echoes' played at the outdoor amphitheatre with slow moving cameras skulking around the speaker amps. The band are seen running on the volcano, ash spilling of their footsteps. There is a mystical feel on this as we see shots of the Pompeii ruins and very strange sounds. Overall the film is certainly an indispensable document of early psych prog from the masters themselves; a compelling doco/concert and well worth a look for space prog addicts. I've seen it for the first time in a cinema in the 70s, them I bought it on tape in the 80s and again in DVD version later. I want to stay on the original release as the so-called director's cuts that are effectively only director's additions don't add nothing special to the movie. The only addition that was already on my VHS version are the inserted parts filmed during the recording of The Dark Side of the Moon which have an undoubt documentary value. I'm writing this review basing on my memory only. The format is very simple: track titles put on the screen word by word in a way that's intended to appear "psychedelic" without any comment. A good choice. The opening is very unusual: just dark screen and the famous heartbeat of DSOTM form more than one minute. One may think that there's something wrong with the player, but immediately after the titles we are in the middle of the Roman theater with speakers and instruments suddenly appearing under the Rick Wright's "ping". I didn't like the choice to split Echoes in two separate parts. I can understand that 20 minutes of song may have appeared too long to be presented at the cinema, but the director has surely underevaluated the public. However this is a great version of the epic and the way it stops before the noisy section is not too bad. Just after we are in UK in winter. Floyds are dining in the EMI's canteen and Waters jokes with the interviewer. Then we see Waters joking with a synth, experimenting sounds until it becomes "On The Run". To be honest the passage from the experimentation to the final version of the song didn't happen in this way. On the Run is appended. The bass of Roger Waters plays a slower version of See Emily Play. The scene is dark with volcanic eruptions displayed in the background. This didn't happen in Pompeii. Careful With That Axe Eugene was recorded in studio, but the director's ability stays in not making us aware.of it. The scream of Waters associated to the eruption is one of the remarkable moments of the movie. This version of A Saucerful of Secrets is probably the best ever. The chaotic section with Gilmour half naked and sit on the ground in the theater extracting sounds from his Strato using strange equipments gives the idea of the hot summer while Waters hits percussions while Mason plays his drums like a metronome and Wright tortures his grand piano. Gilmour singing on the final with his face covered by hair because of the wind is an image that I have impressed in my mind. It also contains the most famous photograms from this movie. Waters hitting a gong in front of the sun. After this apparent chaos they are in studio working on us and them and one can wonder how a band that has just played a music that seems improvised and unstructured (but it's not) can be so perfectionist in recording a song. Both Gilmour and Wright try their instrumental parts searching for the best notes and perfect sound. The result is Us and Them. The remarkable moment on One of These Days, which is recorded in the same studio as Careful, and it's proved by the butterfly shirt weared by Mason, is when Nick looses a drumstick and plays with one hand only while he retrieves a new one. "Set The Controls For The Heart of the Sun" is opened by lights overlapping a Roman mosaic like they are shining eyes. Another studio take. Back to EMI we see David Gilmour looking for the guitar background to Brain Damage. He's right in discarding the first version that's too trivial. Two funny minutes with the Humble Pie's dog singing a blues and we are finally to the second part of Echoes. The final with Gilmour and Wright singing is fantastic. I can't comment it more.Simply perfect. The best musical movie that I've ever seen. 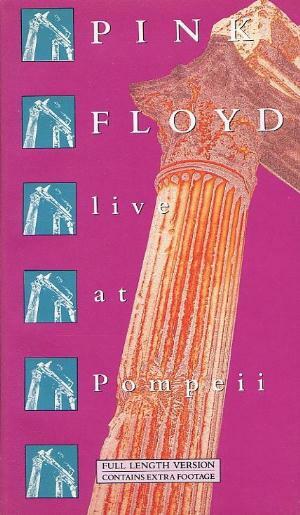 Back in 1991 I videotaped Pink Floyd's Live at Pompeii on my dad's satellite dish, on MuchMusic (Canada's answer to MTV, but I felt that it was even better than MTV because they used to air stuff like this). I never lived in Canada, it so happens in the days before DirecTV and other small satellite dishes, people owned 10-12 ft. dishes, and in '91 my family owned a 10ft KaulTronics dish (bought in 1986) and were able to get Canadian and Mexican stations, as well as, naturally American (but at that time, many more stations started to become scrambled so it was a miracle MuchMusic stayed unscrambled as long as it did when MTV was fully scrambled). Not being familiar with anything earlier than Meddle at the time, this gave me an idea what Pink Floyd was like before they became superstars. It really blew me away. It was performed live, true, but not in front of an audience, but at the ruins of Pompeii in October 1971 (as well as some in a Paris studio in March 1972). 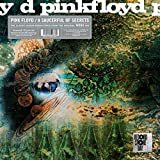 Great versions of "Echoes" (which they divided between the beginning and the end of the film), "Set the Controls of the Heart of the Sun", "One of These Days" and "A Saucerful of Secrets". "Mademoiselle Knobs" was simply "Seamus" without the singing, but with the howling dog still intact. I found it interesting this film was first made available on videotape back in 1981, during the infancy of the VCR (still called the VTR then, most people still didn't own one because they were so expensive). Flash forward, it's now available on DVD, and I picked up the DVD. Luckily I was fully aware of the warnings. It seems like Adrian Maben has that similar problem to George Lucas: never happy with the original outcome of the film, so like Lucas did to the old Star Wars trilogy, Maben decided to tamper with it. 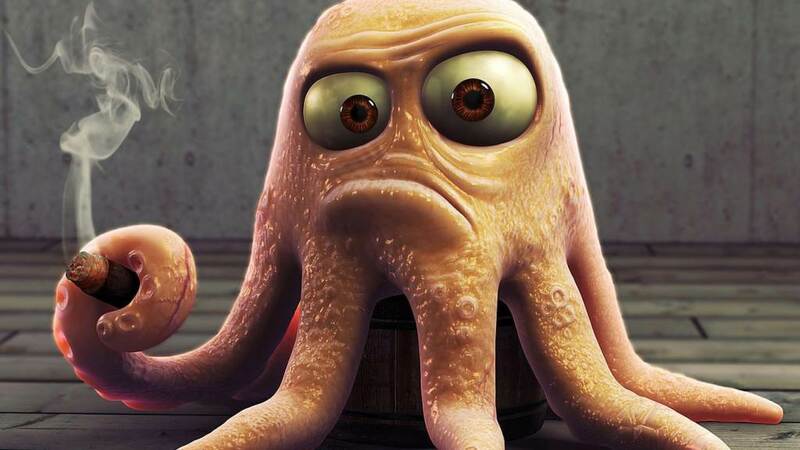 What made him think it's a good idea to include contemporary computer animation in a movie that was filmed in 1971-72? It seriously clashes with the '70s mood and vibe. At least you get to seem some Dark Side of the Moon session footage of Roger Waters toying with the EMS AKS to get the electronic sequence to "On the Run". What Maben did would be like if Pink Floyd decided to remaster The Dark Side of the Moon and replace many of the analog keyboard parts with digital synthesizers. The good news: at least you get to see the original 1972 theatrical cut as a bonus feature on the DVD, and that's the big reason you need this DVD. 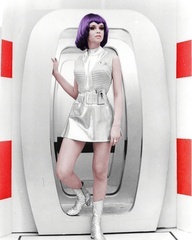 No digital add-ons and CGI, retaining the original '70s vibe. Forget the director's cut, and go for the original theatrical cut included as a bonus cut, this is some truly great live footage. To me, this performance is truly deserving a five star! Post a review of PINK FLOYD "Live At Pompeii"